E liza Suggs was the daughter of Free Methodist minister James Suggs. Suggs was ordained a deacon by B.T. Roberts in 1879 and ordained an elder by E.P. Hart in Kansas in 1884. 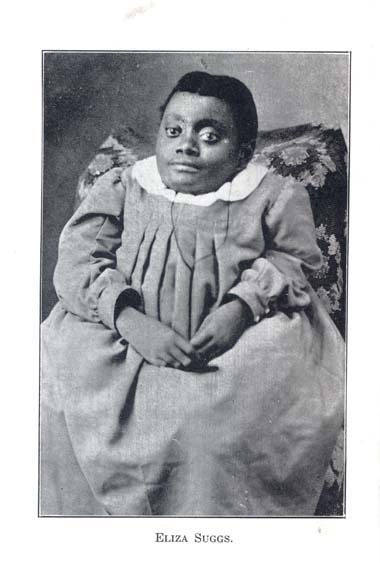 Eliza was one of his younger daughters, who contracted a severe case of rickets at as a baby. Her bones were frail and she relied on her sisters to care for her. She was often seen riding around in a baby carriage. She weighed about fifty pounds and her height was only thirty-three inches. Yet, her disabilities did not diminish her call to ministry. She attend Orleans Seminary in Nebraska and was an officer for the Orleans Women’s Foreign Missions Society. She also wrote for the Free Methodist magazine Missionary Tidings. Her autobiography Shadows and Sunshine is one of the earliest published accounts by an African-American woman and contains important historic details about her parents experience as slaves. In addition, her strong support of temperance issues is evident in her poetry. She lived vicariously through her writing, which has now been recognized by scholars as providing a significant historic contribution to understanding the African-American experience in the nineteenth century. The Old Year is nearly gone. Oh, how the time is hastening on. Tick tock, tick tock, what are we doing? We’ll not always have this time. My tongue can never tell. And put a heart of flesh therein. Have left the sad lines you trace. She had a drunken husband! Dim those eyes with tears. He now fills a drunkard’s grave. That is the road to sin. No drunkard shall enter in. I take my first glass now. His soul then passed away. “A broken heart,” he said.